I was born overweight! The twin sister who grew alongside me for nine months was born underweight! It was clear for all to see just who had been eating all the pies! Weight, with all its problems, has dogged me all my life and caused me no end of mental and physical pain. I had read every diet book going and tried to lose weight by every means suggested. Yes, I lost some weight but the progress was only ever short lived. Soon the pounds piled on again, plus more besides. Each failure meant that I sank deeper into depression and I resumed my unhealthy comfort eating regime. Never, ever, did I consider having surgery and I certainly would never have entertained the idea of paying to go abroad for treatment! Approaching Christmas 2012, I reached rock bottom. I was going to be spending the festive season alone but at least I would have lots of goodies to feast on! Having said that though, it did not really lift my mood. I could not get past the fact that I was by now three times the weight of my twin sister! How long would it be before I was four times her weight? I had already had some serious health issues, I was registered disabled, and I could foresee that my imminent retirement could be somewhat curtailed if I carried on with the lifestyle which had brought me to the point at which I now found myself. Something had to be done! 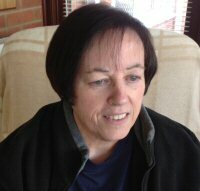 “I began searching the bariatric surgery websites to learn more about weight loss surgery. I am not a very brave person and so came to the conclusion that I could possibly cope with having a lap band fitted. I went to see my GP who straight away agreed to apply for me to have the gastric lap band fitted on the NHS. Within days the GP contacted me to let me know that my application had been successful! How much would surgery cost me though? Where would I have it done? 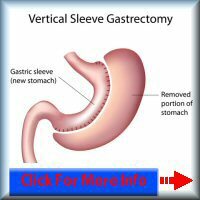 I happened to come across a website for ‘Gastric Band Surgery’ on the internet! The price seemed manageable and, because I live in the south of England, France was easily accessible for me either by ferry or by air. I decided to email this company purely to get further information. This was when I was first introduced to Tullia Law. Tullia provided me with a lot of information and was more than willing to address any concerns which I may have had and to dispel my fears about undergoing surgery. 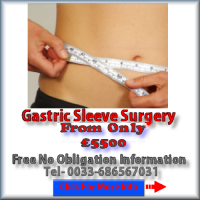 I continued to do further research and decided to go for the Gastric lap band. That was one decision made! The next issue was the question of money! The full cost of the procedure needed to be paid up front. I have to be honest and say that this worried me a great deal – I was on the point of retiring and that was serious money to me! Normally I am happy to pay a deposit when making a holiday booking etc. and then pay the balance nearer to the time of departure. I thought long and hard about taking this step and decided to take the plunge before I allowed myself to drop the whole idea! Many months passed and, owing to serious illness within the family, I delayed having the surgery done. Tullia was very patient and when my confidence faltered, she was there to talk to me and put me back on track. After a great deal of procrastination, I finally settled for Jan 2013 as the time for me to go and have weight loss surgery. It was to be my New Year’s resolution! And that was not the only decision I made – I decided to opt for a Gastric Sleeve! This took Tullia by surprise as I think she had begun to wonder if I would ever make any decisions! On Jan 20th 2013 I set off for Le Havre where my surgery was due to take place on the 23rd. It had been snowing all week both sides of the Channel. I had constantly checked the weather forecasts and Tullia was in regular contact in case conditions had deteriorated to the point that it would be impossible for me to travel. I assured her that we would definitely be making the journey. All appeared to be well on Southern Rail. My companion and I were making our way to Portsmouth to catch the overnight ferry. We got no further than Brighton! It had taken us three hours to do a journey that would normally take less than hour. We had been seriously delayed by a train which had broken down less than a mile from where we lived! Tullia had phoned to check our progress and when she heard what had happened, she persuaded us to go back home and my operation would be rescheduled at no extra cost. I was really disappointed as I was so mentally and physically prepared for the op and now I was back to square one! The very next morning Tullia contacted me to let me know that the surgery could be done on the 30th if I and my friend were willing to travel that coming weekend. We did not need much persuasion! I was elated – I couldn’t wait to get the op done and to start a new chapter in my life! I re-booked the ferry and decided that this time we would travel from Newhaven to Dieppe just in case the weekend weather was going to be bad again (there would be less travel involved). Tullia was not phased in the slightest by the fact we would be heading to Dieppe and would arrive on Mon morning at 4am! She said she would arrange for a taxi to pick us up and take us straight to our hotel in Le Havre! We couldn’t believe that a taxi would be there so early in the morning – but there it was when we got off the ferry! Everything went as smoothly as Tullia had promised. The hotel was very comfortable and, although I did not allow myself to be tempted, an excellent breakfast was provided every day. Taxis arrived on time to take us to and from the hospital. The hospital staff were friendly and professional at all times. They supported me every step of the way as I went through each of the tests leading up to the surgery. The ward staff were very patient and did not let the fact that my ‘O’Level’ French which was ‘not quite up to it’, prevent them from doing their best for me at all times. Meeting Dr. B helped to put my mind at rest at a time when I was feeling very apprehensive about the major step I was about to take. He went through all the main issues with me and answered all the concerns which I had. He explained what would be happening pre-tests, the operation itself, the recovery and what I would need to do post operation regarding diet and nutrition. He visited me on several occasions before I left hospital and again on the day I was due to return to the UK, to check that I was okay. Did I make the right decision by opting to go to France for a sleeve gastrectomy? Yes, without a doubt! It was the best decision I have ever made and my only regret is that I did not do it sooner! I need not have had any fears and if anybody reading these testimonials is still worried about going abroad for surgery, please do not hesitate to contact those of us who have already taken such a major step to improve the quality of our lives. It has been a pleasure getting to know Tullia Law. I do believe that she genuinely cares about those who feel that Bariatric surgery is their only chance of dealing with their weight problem. No one would make them self available 24/7 if they did not care about their clients. Tullia runs a well oiled machine so that when people make that crucial decision, everything goes as smoothly as possible to achieve a very successful outcome. I have been reassured by the fact that she has stayed in regular contact with me to see that all is well. My twin sister has not seen me since my operation, but boy is she in for a shock!